Discussion in 'POTW Collaboration' started by Serebii, Sep 9, 2018. Time for the next Pokémon of the Week! 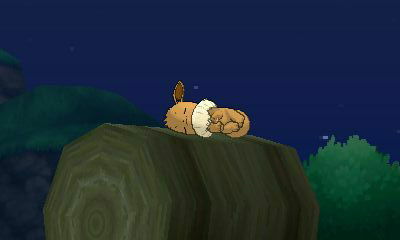 This week we have a Pokémon that was actually seen in the World Championships this year! Latias of the Eon twins, you have changed so much and yet so little. There used to be a time where the Lati twins hopped between OU and Ubers due to their signature Item Soul Dew which provided a ludicrous 1.5 Boost to their SATK and SDEF (which is the same as a Choice Specs and Assault Vest put together with none of the drawbacks). Soul Dew has since been nerfed back to the realms of the Lustrous/Adamant/Griseous Orbs, only providing a 1.2 Boost to their STABs (personally, I would say compromise and have the items provide a 1.5 times boost to their STABs). However not all is lost with the Eon twins for Gen VI gifted them with... near identical looking Mega Evolutions. However what is not identical is their functionality. 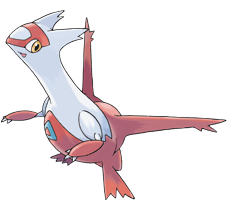 Mega Latias is a monstrous tank possessing 80/120/150 Defenses along with workable (100/130/110) offenses, and a wide array of resistances plus an immunity in Ground. However, all is not sunshine and rainbows for the Lati Twins, possessing a weakness to the ubiquitous Ice, Fairy and Dark moves alongside U-Turn means that every team should have an answer to Latias' aegis. Bulky Tank Mega Latias. Recover for recovery, Toxic as the Tank staple, Defog for entry hazard control and last move of preference to avoid being Taunt bait. Dragon Pulse, Psychic and Psyshock are all viable STABs but have an type that walls Latias out completely. 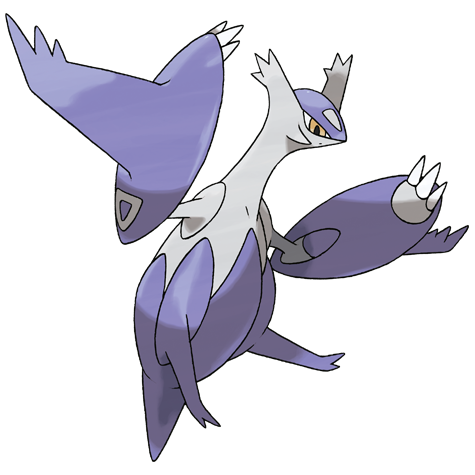 Ice Beam is good for all around coverage, while Shadow Ball deserves consideration in Ubers due to the number of Psychic types infesting it. Magic Coat -Bounce Status and Entry hazards back at your opponent! Latias can do a lot of things. Its movepool is filled with both supportive and offensive options, receiving moves like Tailwind, Ally Switch, Helping Hand, Psych Up, Recover, Healing Wish, Charm, Psycho Shift, Wish, Heal Pulse, Icy Wind, Calm Mind, and so on. It just lacks Trick Room and Skill Swap. And although its signature attack Mist Ball is pretty bad (why don't you just trigger 100% of the time like Mystical Fire? ), it doesn't mind too much as it has plenty of other options. One of the many ways Latias can run in doubles. Ideally you pair this up with a fast pokémon that can Fling a Starf Berry to Latias. Because it's a berry it won't really deal any noteworthy damage, but it will trigger Weakness Policy. If you also set up a single Calm Mind, essentially you reach +3 Sp.Atk, +1 Sp.Def, +2 Attack, and random +2 in one turn, to a total of eight stages of stat boosts. After this, Stored Power becomes a massive weapon of destruction with 180 base power at +3 Sp.Atk (or +5 if Starf Berry boosted Sp.Atk), even when uninvested. Max speed to be as fast as possible for attacking, max defence to take physical hits better, relying on Calm Mind and a naturally high Sp.Def stat to keep the special side safe. Shadow Ball is there to hit Mega Metagross, Aegislash, and (in the case of VGC19) Dusk Mane Necrozma and Solgaleo, as well as having an attack that's neutral on most other steel types. The last move can be Dragon Pulse for additional STAB, Protect because it is doubles, or you can even fit in different things like Recover or Ally Switch here. Even without Starf Berry support it's still a solid option. Latias has quite a number of weaknesses, so triggering the Weakness Policy isn't all that rare (and with Latias's solid bulk it can generally survive super effective hits too), and if you get a Calm Mind + Weakness Policy you're already at +3 Sp.Atk and Stored Power is going to hit like a nuke with 140 base power. Another supportive option you can do with this is Simple Beam support. If you Simple Beam Latias right before it sets up all those stat boosts, including the Weakness Policy, are doubled. The downside is that Simple Beam is relatively scarcely distributed and no really fast pokémon get it, the fastest is Linoone at base speed 100. Xatu could be an option there, it is immune to Taunt and Encore, has decent speed, and can also set up Tailwind, although its bulk is somewhat lacking. I like this set idea, but I also want to point out the possibility of putting Charge Beam on this set. It has a 70% chance of boosting Special Attack, which is the highest chance of any attacking move that Latias has. You could use that instead of Calm Mind, but it is probably a better idea to use it on the fourth moveslot for coverage. Charge Beam is also an option. It's not something I would run as I think it's somewhat unreliable, especially with Charge Beam only being 90% accurate (so it effectively only has a 63% chance of boosting Special Attack) and can be negated by for instance Lightning Rod or Ground types. I think Calm Mind is overall more reliable and works better with Stored Power as it also boosts Special Defence.